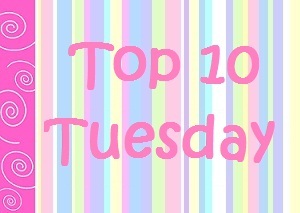 Top Ten Favourite Fictional Couples in Books - My Life Is A Fairytale That Will Never End. It's Top 10 Tuesday (hosted at The Broke and the Bookish) and the topic is freely cloose :) So I've chosen one I've been dying to do since forever! And int topic is Top 10 Favorite Fictional Couples in Books! Because, God, we've been fighting 6 books for this! They were meant to be together! Something about this new realization emboldened me. "No," I informed him. "You haven't. You put on a good face, and most of the time you do stay in control. But sometimes you can't. And sometimes …" I leaned forward, lowering my voice. "Sometimes you don't want to." I could see his labored breathing and knew his heart was beating as quickly as mine. And he wasn't pulling away. I knew this was wrong—knew all the logical reasons for us staying apart. But right then, I didn't care. I didn't want to control myself. I didn't want to be good. Before he realized what was happening, I kissed him. She jerked hastily back to avoid stepping on it, and her shoulder bumped his—he put a hand out to steady her, just as she turned to apologize, and then she was somehow in the circle of his arm and he was kissing her. It was at first almost as if he hadn't wanted to kiss her: His mouth was hard on hers, unyielding; then he put both arms around her and pulled her against him. Our eyes lock, and he breaks into a slow smile. My heart beats faster and faster. Almost there. He sets down his book and stands. And then this—the moment he calls my name—is the real moment everything changes. He is no longer St. Clair, everyone’s pal, everyone’s friend. He is Étienne. Étienne, like the night we met. He is Étienne; he is my friend. Étienne. My feet trip in three syllables. É-ti-enne, É-ti-enne, É-ti-enne. His name coats my tongue like melting chocolate. He is so beautiful, so perfect. My throat catches as he opens his arms and wraps me in a hug. My heart pounds furiously, and I’m embarrassed, because I know he feels it. We break apart, and I stagger backward. He catches me before I fall down the stairs. “Whoa,” he says. But I don’t think he means me falling. “Are we still going bowling tonight?” I asked, wondering if the invitation was just to get some alone time with me that he no longer needed. I leaned over to kiss his neck once, and then ran my tongue up to his ear, kissing his earlobe. He froze in place. “Distraction,” I breathed into his ear. "No, it's pure confident. It's not 'I want' or 'I need,' none of that crap." He slipped his hand over mine. "It's 'I will.'" A nervous laugh bubbled up. "You will, huh?" His fingers brushed my cheek, then slid into my hair. "I will." Somehow, in the darkness, his lips found mine. I should've been ready. We'd been dancing around each other for months, and we were, after all, in a situation of forced snuggling. But my inexplicable surprise kinda made me blow into his mouth. "Oh my God." I turned my face away in embarrassment. "I can't believe I just did that." For a second his dark eyes are on mine, and he’s quiet. Then he touches my face and leans in close, brushing my lips with his. The river roars and I feel its spray on my ankles. He grins and presses his mouth to mine. I tense up at first, unsure of myself, so when he pulls away, I’m sure I did something wrong, or badly. But he takes my face in his hands, his fingers strong against my skin, and kisses me again, firmer this time, more certain. I wrap an arm around him, sliding my hand up his neck and into his short hair. “Stop this!” He captured my wrists easily. Actually, it was embarrassing how quickly he subdued me. This time he pinned me to the mat. “Stop this, Alex,” he said again, much lower. I threw my head back, ready to plant my foot somewhere when our eyes met. I did stop then, with his face inches from mine. The atmosphere changed as one of the wild emotions swirling through me managed to break free and rear its head. His lean torso and legs pressed against mine in a way that made me think of other things—stuff that wasn’t fighting or killing, but did involve sweating, lots of sweating. Breathing became difficult as we continued to stare at one another. His dark waves had fallen forward into his eyes. He wasn’t moving, and I couldn’t even if I’d wanted to. I didn’t. Oh, gods, I didn’t want to move ever. I saw the moment he recognized the change in me. Something shifted in those eyes of his and his lips parted. This was just a harmless, stupid crush. Even as I lifted my head, bringing my lips mere inches from his, I kept telling myself that. I didn’t want him. Not this badly—not more than anything I’d ever wanted in life. At first, it wasn’t much of a kiss. My lips just brushed his, and when he didn’t move away, I pushed harder. Aiden seemed too stunned to do much of anything for a few seconds. But then he released my wrists and his hands slid up my arms. The kiss deepened, full of passion and anger. There was also frustration, so much frustration. Then Aiden pressed down, and I wasn’t the one doing the kissing. His lips moved against mine, his fingers pressing into my skin. After only a few seconds he broke off the kiss and sprung away from me. I love this list (and the fact that you included quotes! Le sigh! )What a great idea. And Clary and Jace? Major swoon! THIS LIST IS PERFECTION, Nea!! ♥ I had lots of swooning when I read the quotes and the couples' name!!! My alltime favourite couple is Anna & Étienne! :D Thank you so much for sharing this with us! I love your list! I need to read the rest of the Iron Fey series and Obsidian. I wasn't a huge fan of the Vampire Academy books, but I did like the whole Rose and Dmitri thing. Ohh... I've just done my Fictional Characters I'd Name My Children After list and I should have used Dmitri - I love that name :) Drat! Tris and Four have to be one of the best couples of all time. Fictional couples, that is. I'm not usually a fan of YA romance, but it was PERFECT. No InstaLove, but plenty of realistic doubt and affection. I love your list btw - especially the quotes. Awesome top ten! OMG! I totally agree with Jace & Clary, Zack & Aura, Anna & Ettiene, Tris & Four and Alex & Aiden (especially that one!). Great list! I haven't read all these series' but I have a lot of them that I really want to read! I'm always on the lookout for a good romantic pairing! Thanks for stopping by my TTT! Happy reading! Love the list! Rose and Dimitri all the way (although I was kind of rooting for Adrian too). Okay, the ones I know from this list, I LOVE, which leads me to believe you wouldn't steer me in the wrong direction on those I still need to catch up on! Amazing list. All those quotes were hot. We have very different tastes but I agree with Abby & Travis & Tris & Four. But you know I LOVE Logan and Adrian so I want them to get the girls. I still really need to read Obsidian and Half-Blood. Aragorn & Arwen from The Lord of the Rings (the movies) and The Tale of Aragorn and Arwen. She gives up her immortality for him! Buffy & Angel from Buffy the Vampire Slayer. They're relationship is doomed from the very beginning, but that's probably why I love their story so much. Meg and John (Going Too Far). Awesome list! I've read most of these, and they all rock. And the ones I haven't read I now want to read, lol. My ultimate favorite couple of all time is Damon and Elena from The Vampire Diaries. That won't change. Ever. But my second favorite must be... Ren and Calla from the Nightshade series.